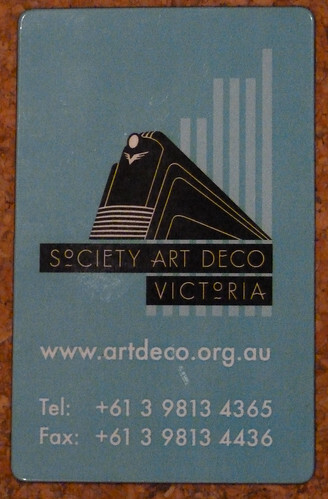 We started as SADV - Society Art Deco Victoria and after a couple of name changes we're now the Art Deco & Modernism Society. 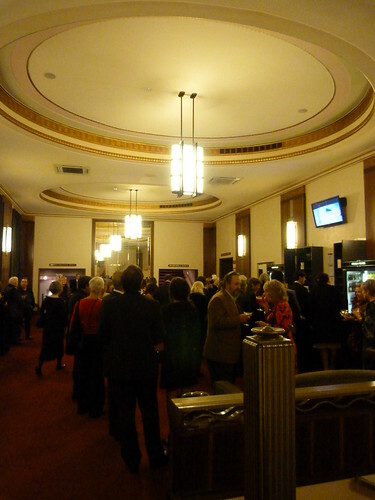 Tonight we celebrated our 21st Birthday with a cocktail party in the Melba Foyer, upstairs at Her Majesty's Theatre. 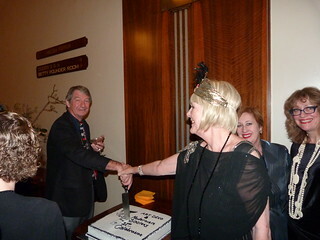 Founding President, Susie Lloyd and current President, Robin Grow, shared the honours cutting the cake. 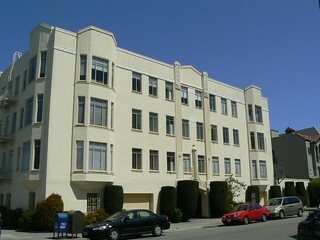 Interesting apartments in the Marina district of San Francisco. 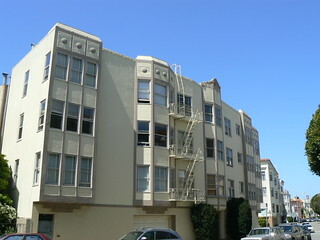 This lovely apartment block is at 1490 Jefferson Street, Marina on the corner of Fillmore Street. 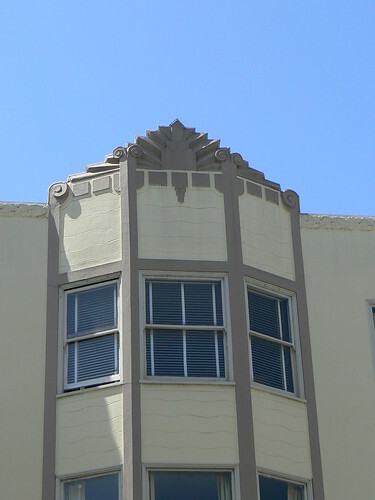 The decoration at the roofline directly above the entrance is gorgeous but perhaps not as good as that a lover level just above the doorway. 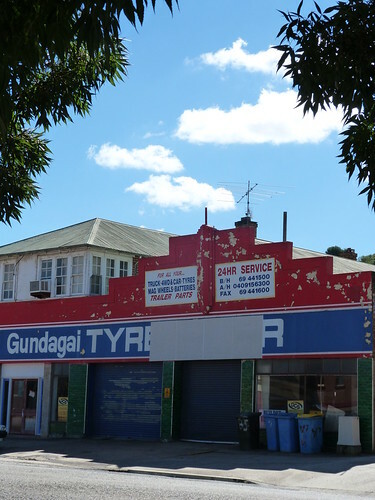 The former Tyre Power in Gundagai, NSW is looking a bit sad but with a little work it could be lovely again like the Bridgestone Service Centre across the road. 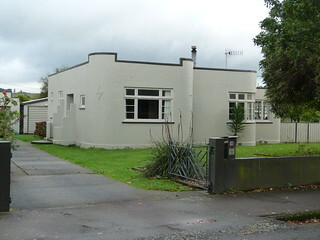 I spotted this sweet house as we were driving through Pahiatua on our way down to Wellington. 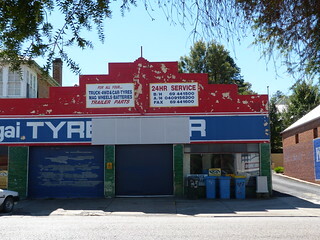 I particularly like the dark outline around the roofline not to mention the lighting bolt on the corner and the substantial stepped side entrance. 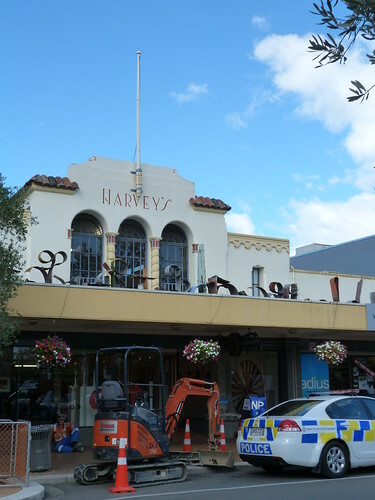 Don't you just love it … No not the mini digger or the cop car or even the workmen taking a break sitting on the footpath under the verandah. Just look past all that to the lovely Spanish Mission style building behind. 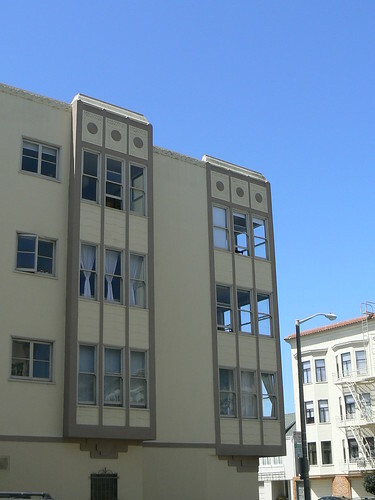 Harvey's Building or to be more accurate, the former Harvey's Building. 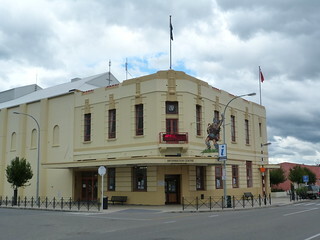 It is now the Hastings Community Arts Centre. 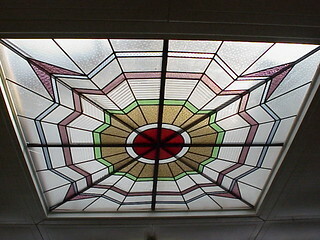 It was designed by Albert Garnett and built in 1933 and inside there is this marvellous Art Deco skylight. Since the mid 19th Century this site in Toronto has been the location of a hotel under various names. Sword's Hotel and the Revere Hotel laid the foundations for the Queen's Hotel which became a much loved institution into the 20th Century until the Canadian Pacific Railway announced that they wed going to build a new hotel on the site which is directly opposite Union Station. The Queen's Hotel was demolished and in 1927 work commenced on what was promised to be the largest hotel in the British Commonwealth. 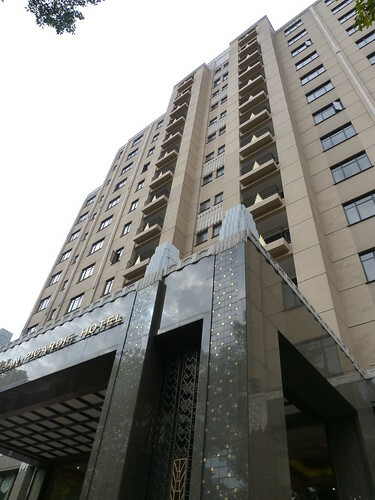 It was named the Royal York Hotel and was officially opened on 11 June 1929 and quickly became the byword for the best in hospitality. 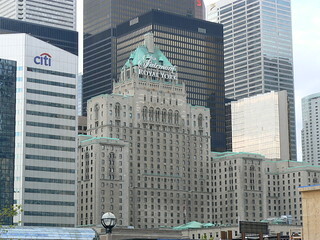 In later years the hotel became part of the Fairmont group and is known as the Fairmont Royal York Hotel. 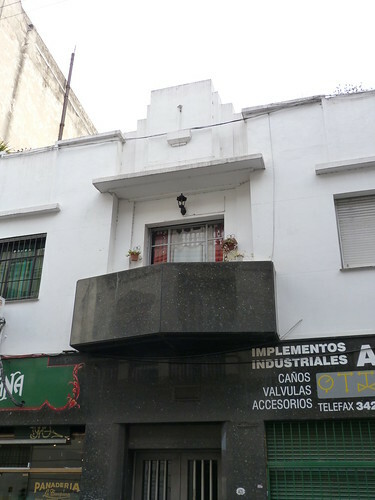 You can find deco in the backstreets of San Telmo if you can drag yourself away from the Sunday market in Plaza Dorrego. 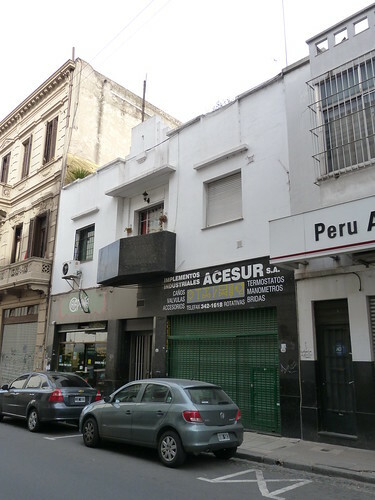 This commercial building, probably with residential quarters on the second floor, is in a street called Bolivar. 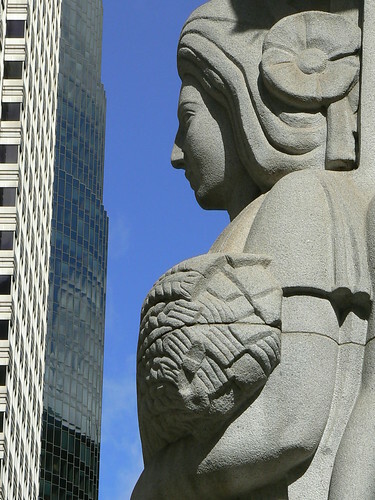 The final art works for the former Stock Exchange building (Miller & Pflueger, 1929-30), two large pylons place at either end of the Pine Street façade, were completed by Ralph Stackpole. 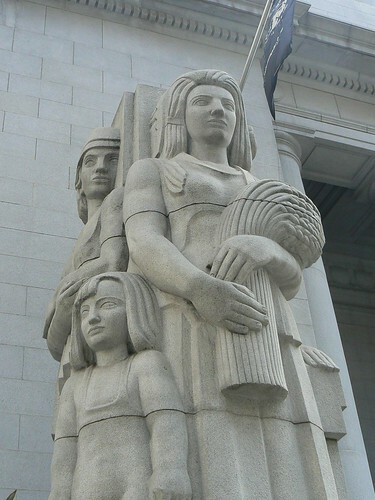 The gray Yosemite granite pylons, one depicting male figures, the other female figures, were unveiled on New Year's Eve 1932. 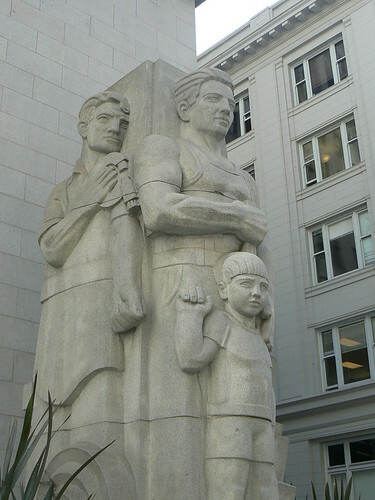 Stackpole, Timothy Pfluger, and Angelo Rossi (Mayor of San Francisco) took part in the unveiling ceremony. 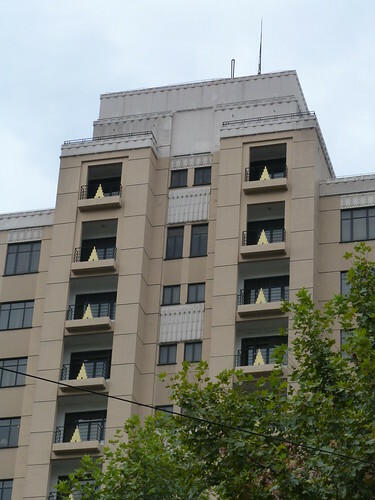 Back in February I wrote about the Sansome Street entrance to the former San Francisco Stock Exchange teasing that the building had a fabulous interior without going into any further detail. 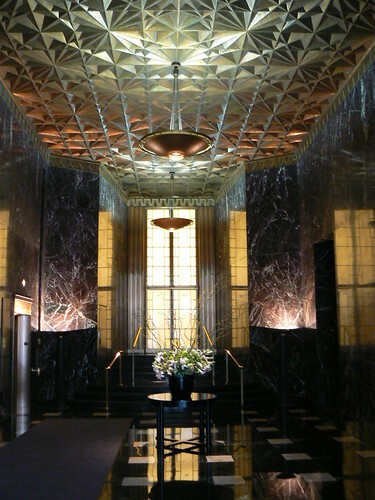 The building was designed by James R Miller & Timothy Pflueger and despite the stock market crash in October 1929, the new trading floor was unveiled on January 4, 1930. 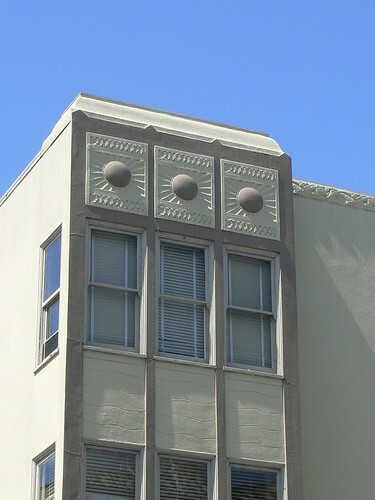 Michael Goodman, an architect, worked as a draftsman and interior designer with Pflueger around this time and it is his memory that Pflueger wanted to use individual works of art as specific pieces designed for the building. 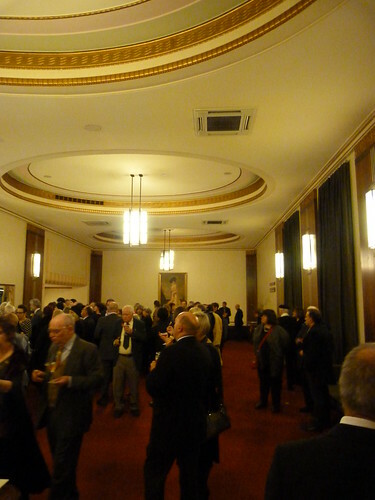 Goodman, himself, got the idea for the geometric ceiling in the foyer from a night club in Berlin. 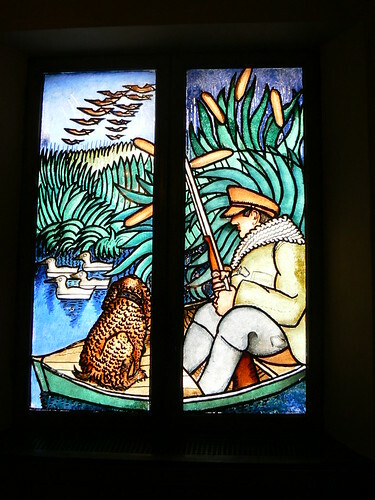 Elsewhere in the building you can find art glass windows depicting hunting scenes and reliefs depicting sports such as golf and American football (such as this one). 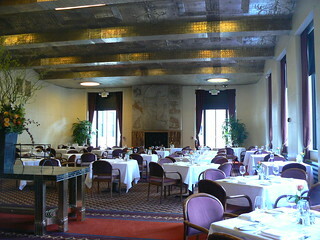 The lounges and dining room of the tenth and eleventh floors were especially opulent employing the best materials and stylish furniture to complement the artworks. 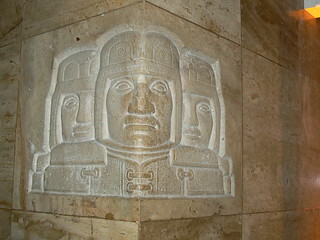 This fireplace displays how the various materials were combined with the art. 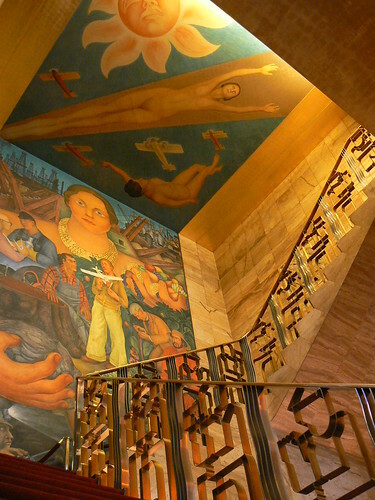 The most impressive artwork in the building is Allegory of California, a mural by Mexican artist Diego Rivera which spans the stairs between the tenth and eleventh floors. 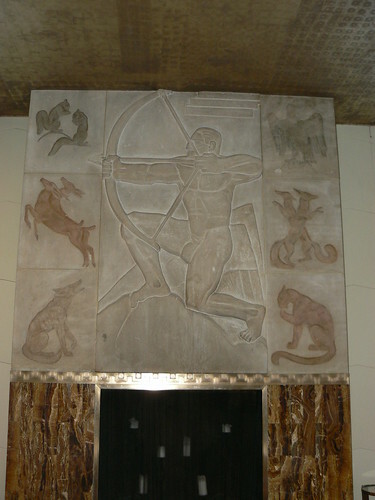 The mural was created in 1930 after the building was completed and was well received despite earlier concerns in some quarters over Rivera's Communist philosophies. 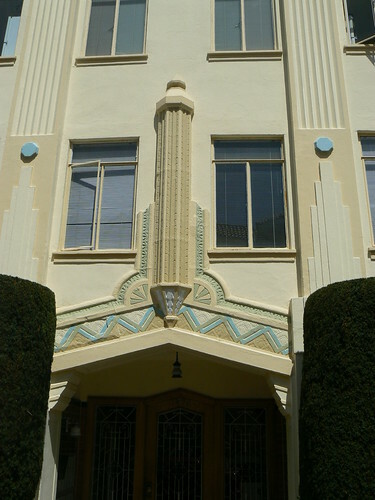 And if you can draw your eyes away from the mural, you'll notice that the railing of the staircase incorporates figures of a man at work and a man at play, although it is difficult to distinguish between the two in this photograph. 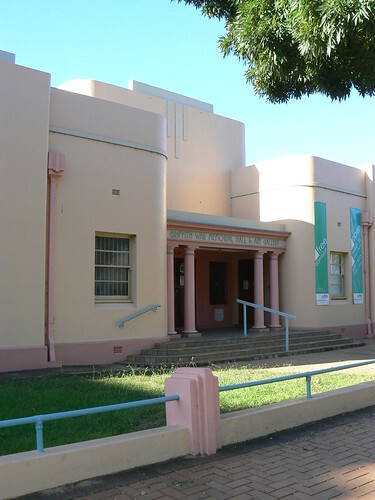 The War Memorial hall was built in 1939, a lovely Art Deco building completed just in time for the start of another global conflict. 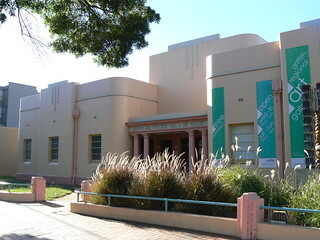 In more peaceful times, 1983, the Art Gallery leased the eastern wing, giving the building its current dual purpose. 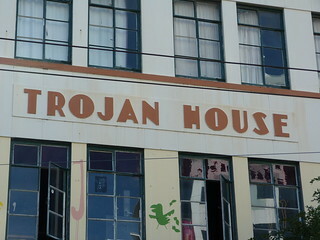 Nice lettering and an off-centre flagpole on Trojan House in Wellington. I couldn't believe my (bad) luck. 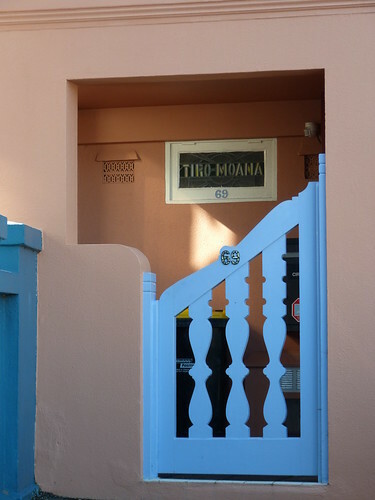 In the few seconds between the time I had got out of the car and the time I was in position to take a picture of this Art Deco house called Tiro Moana in Mount Victoria, the people who lived at the back of the property had parked their car blocking most of the lower floor. Truth be known the ground floor wasn't that interesting and I was still able to get a nice photo of the gate. 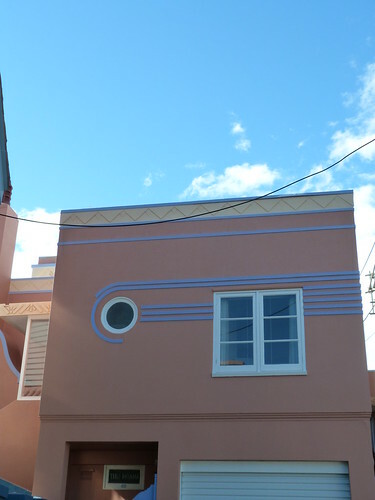 This certainly isn't Art Deco architecture. 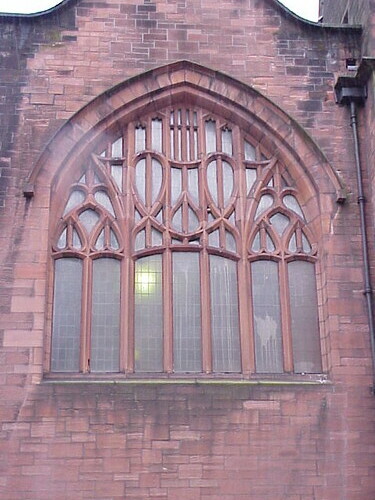 In fact it was commissioned in 1896 by the Free Church (of Scotland?) 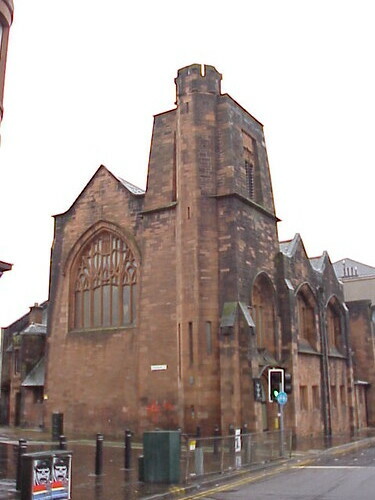 but there is no denying that this small church in Queen's Cross, Glasgow is interesting architecture by Charles Rennie Mackintosh. 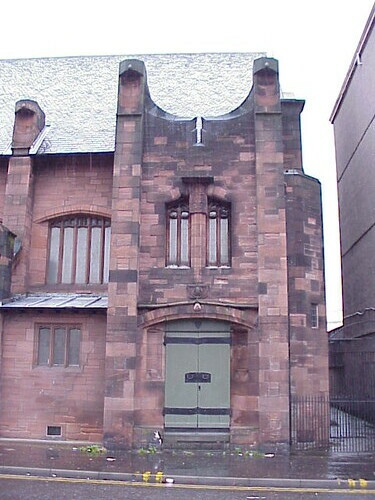 It is the only church designed by Mackintosh and today serves as the headquarters of the CRM Society. I've got to say it is a lot of fun and a huge challenge trying to sound out the various place names in New Zealand. I certainly don't intend any disrespect but as a visitor I don't hear many of these place names spoken so I'd hate to think how I mangle them when I have a go at them. 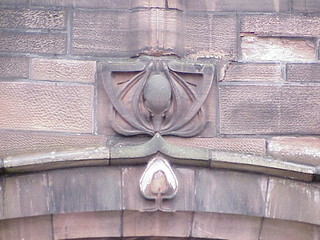 One in particular, however, stood out as more unusual that most. 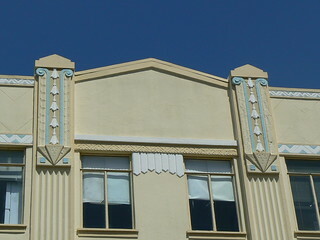 Dannevirke. It didn't look Maori or English in origin more Scandinavian which is what it turned out to be. 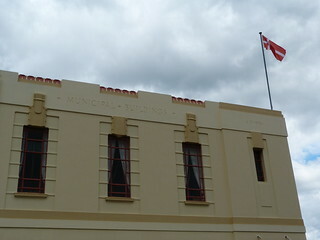 This is the Dannevirke Information Centre in the Town Hall Building. 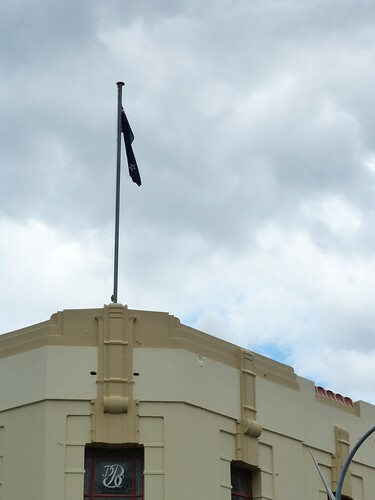 The town bills itself as the Viking Capital of New Zealand and whose going to argue. They have a Viking warrior on the Welcome signs in and out of town and there is even a Viking on the sign of the Information Centre. 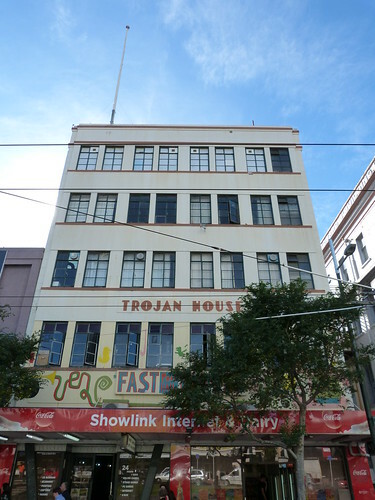 The Viking link goes back to the towns origins in the 1870s when the New Zealand government encouraged people from Scandinavia to settle in New Zealand. The main group of initial immigrants arrived on two ships (the Hovding and the Ballarat) carrying Norwegians, Danes and Swedes. 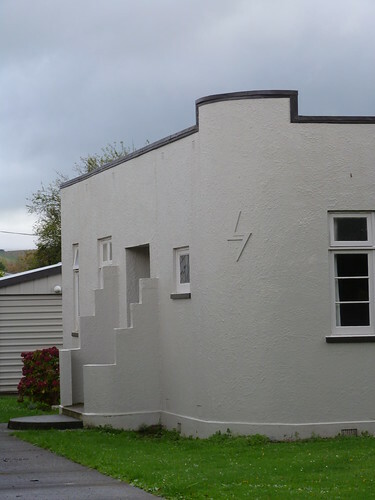 The name Dannevirke means 'Dane's Work'. 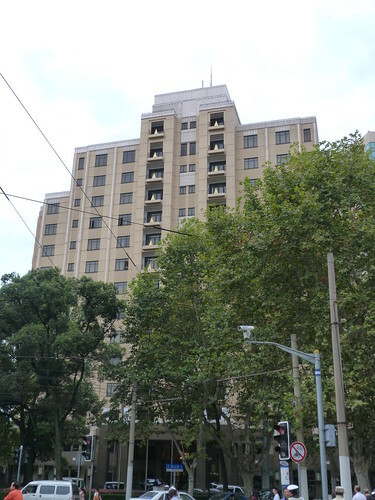 The Town Hall Building was reinstated after earthquake damage in 1934-35. 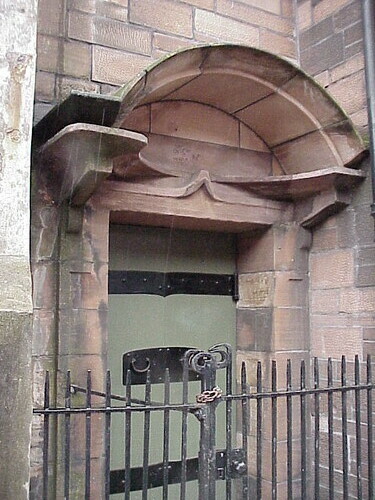 A plaque set into the wall lists the Mayor, M D Smith, Councillors, Town Clerk, C T O'Hara-Smith, Architect, C J Kirk and the Builder, M G Templeton.